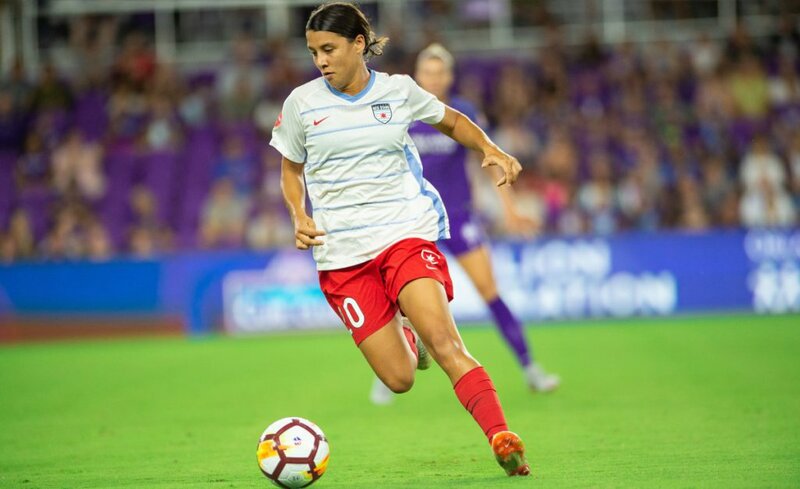 Challenger Sports, will be once again partnering with the Chicago Red Stars to deliver Red Stars Academy programming to youth female soccer players living in the Chicago Metro area. See here for a list of camps. Chicago Red Stars Academy participants will be provided a unique environment that will develop their technical and tactical soccer skills over the course of five days, with encouragement by Chicago Red Stars player appearances and participation. Red Stars Academies will utilize professional, female-only coaches that will inspire, educated and entertain female players between the ages of 6 and 16 throughout the Chicago soccer community. The camp curriculum has been created to reinforce the techniques, tactics, and philosophy of the Chicago Red Stars Senior Team. “Everybody at Challenger Sports is very excited about the opportunity to work alongside the Chicago Red Stars in providing quality summer programming. Our goals are; to provide a great weeklong camp with the combined resources of Challenger Sports and the Chicago Red Stars, heighten the profile of the Chicago Red Stars and the Women’s Professional League in order to encourage more people to attend games, and offer special access to the team through our partnership.” — Derek Shoare, Senior Vice President of Challenger Sports. Register for a Red Stars Camp.